Farmer is one of Samui’s most unusual restaurants. 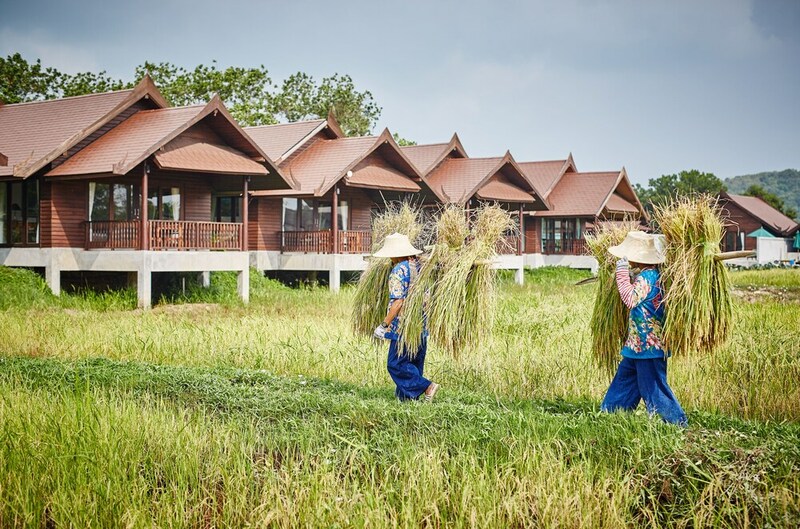 In a bucolic setting, surrounded by rice paddies (accessed by the restaurant to reap five different kinds of rice) and even a family of geese, the large dining areas are somewhat sparse with buffed concrete interiors. But even though Farmer Restaurant & Bar has a modern design with a chic exterior bar its cuisine remains more or less traditional Thai with the occasional nod towards Italian and Chinese influences, all rustled up by an experienced chef. The lantern-lit exterior part of the restaurant has spectacular views out over adjacent floodlit rice paddies while sheaves of lemongrass are grown alongside to put off mosquitoes (waiters also offer anti-mosquito spray). The air-conditioned interior is decorated in Thai farm style and is adequately roomy. All in all, dining at Farmer Restaurant is certainly a memorable experience.